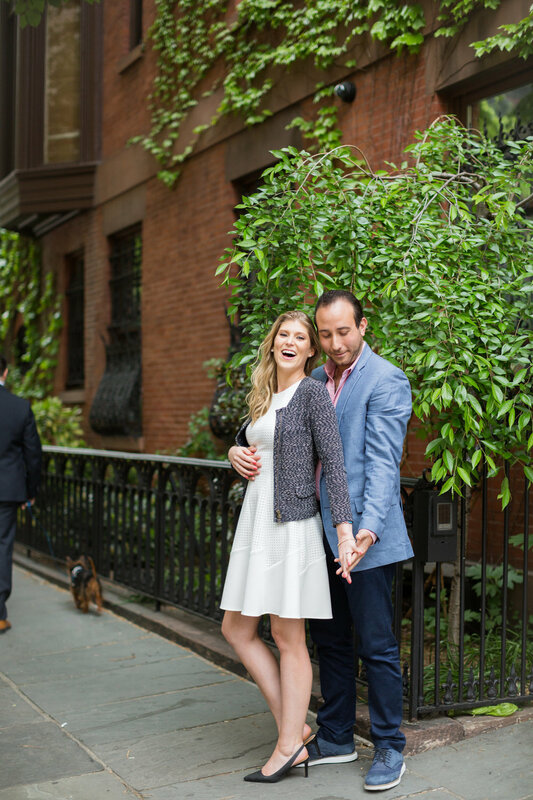 She's from Connecticut. 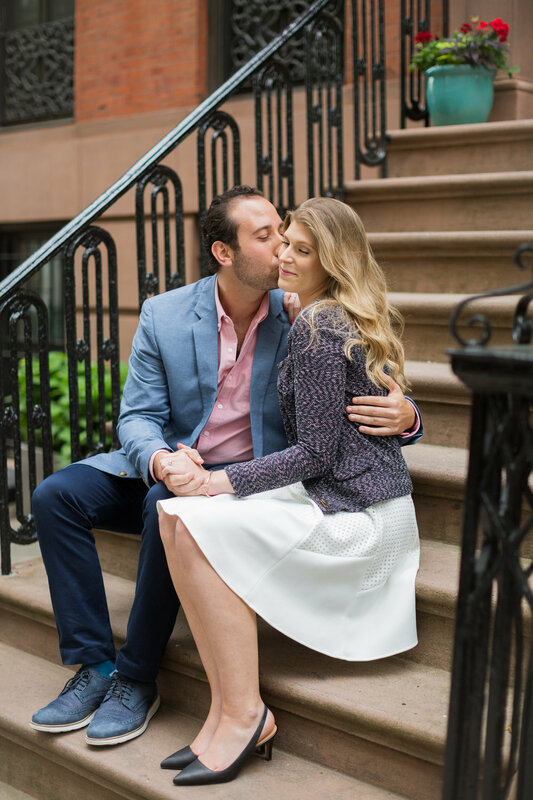 He's from Queens. 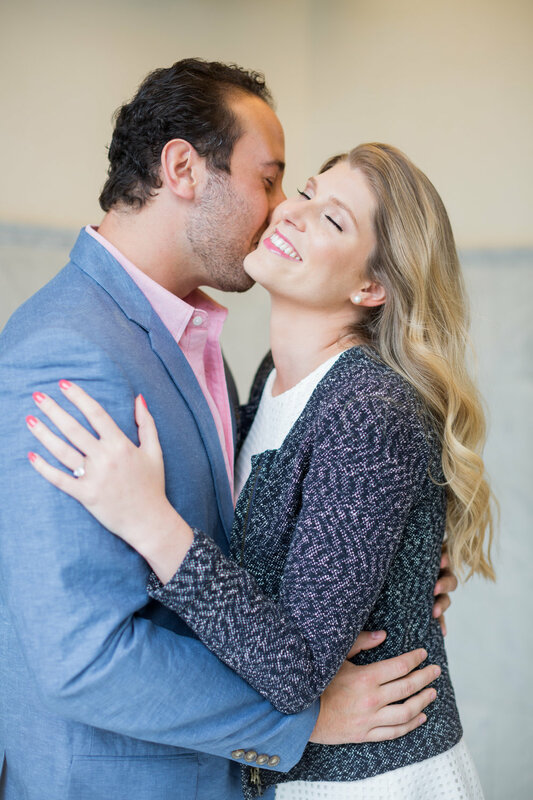 And on a 4th of July weekend circa 2015 their worlds collided at a mutual friend's wedding. 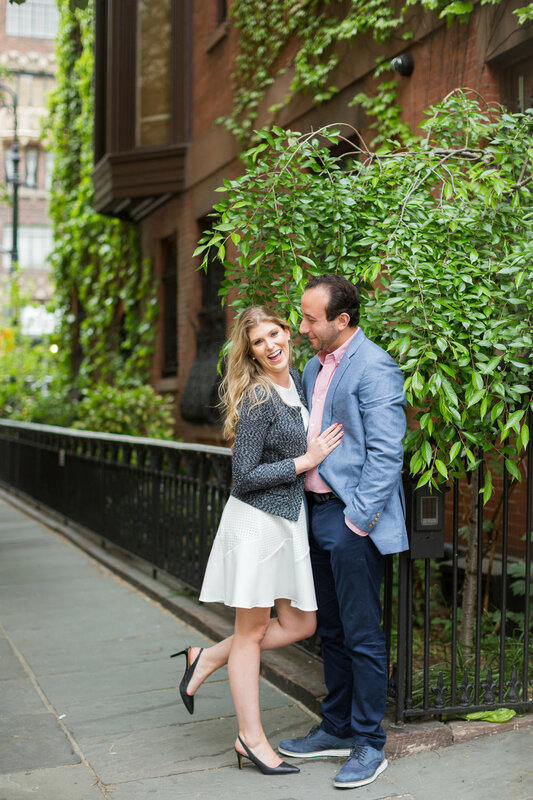 Unbeknownst to Courtney, there were plans at the very onset of the multi-day North Fork celebration that she would be matched with JP. 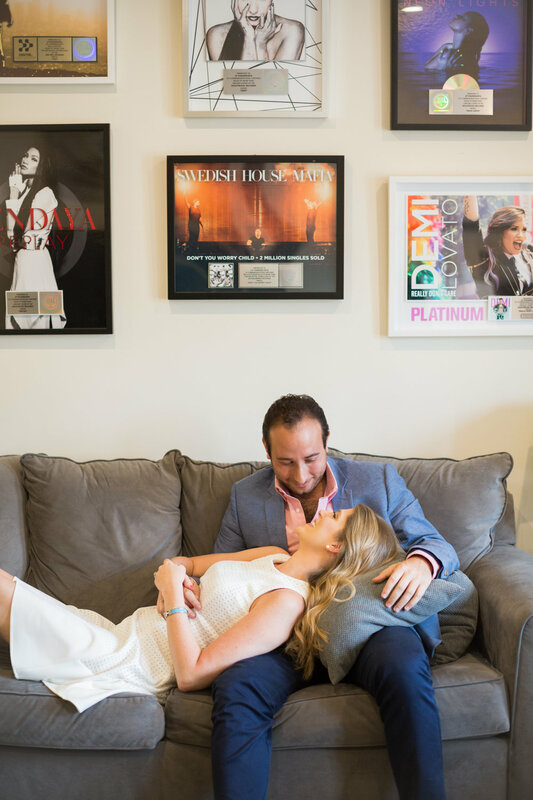 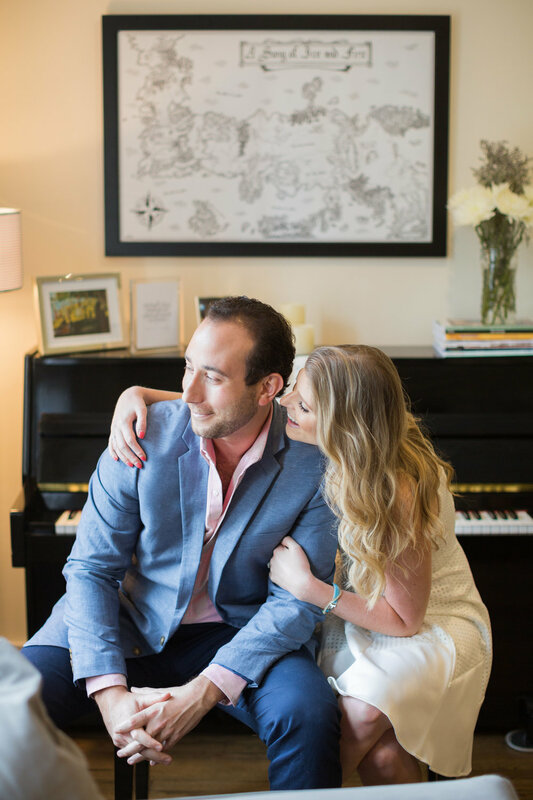 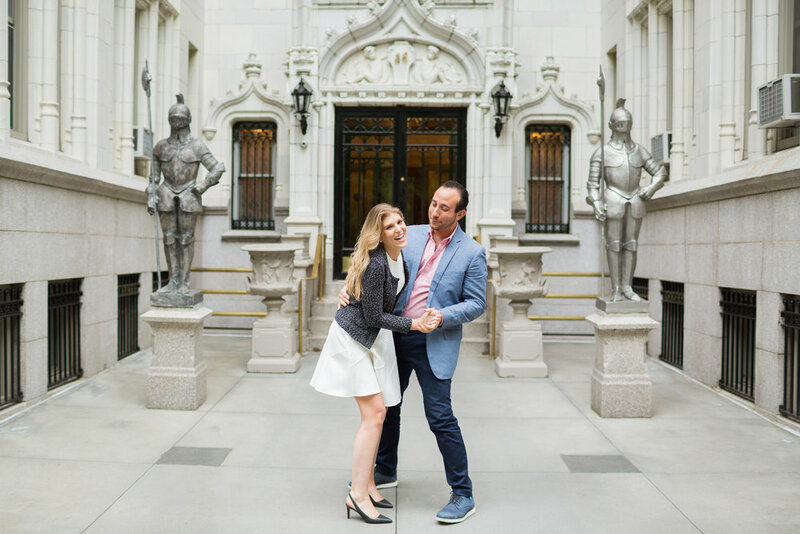 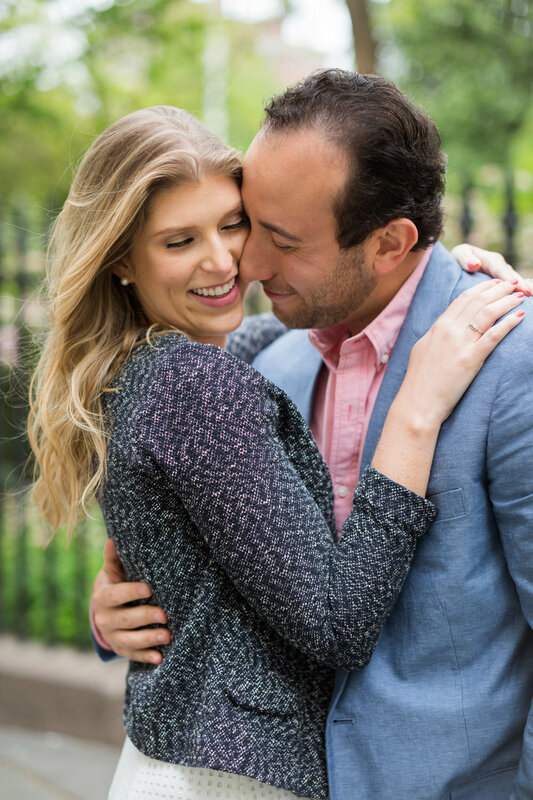 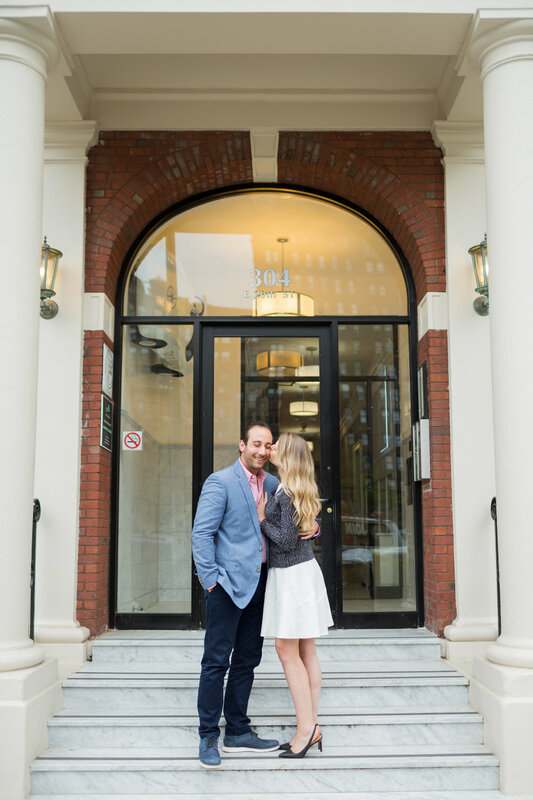 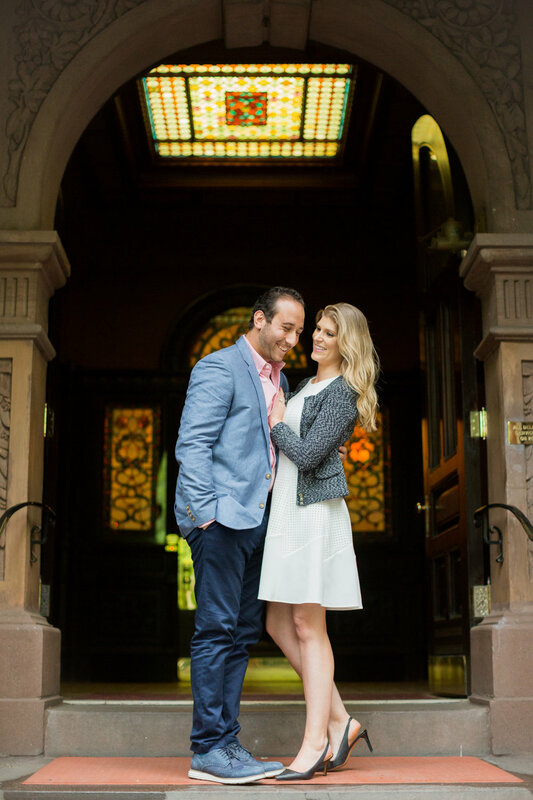 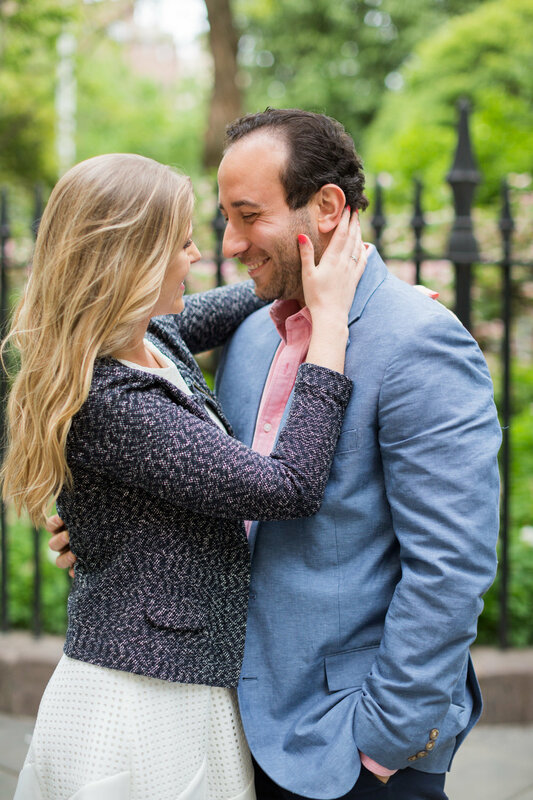 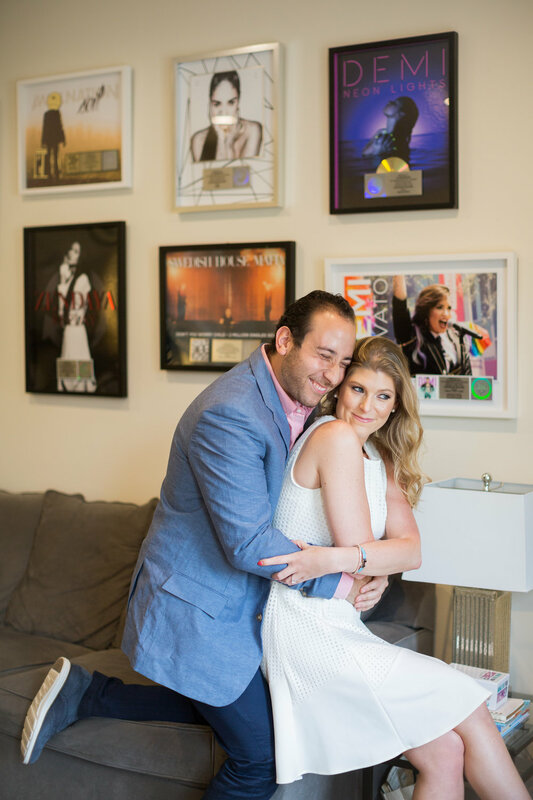 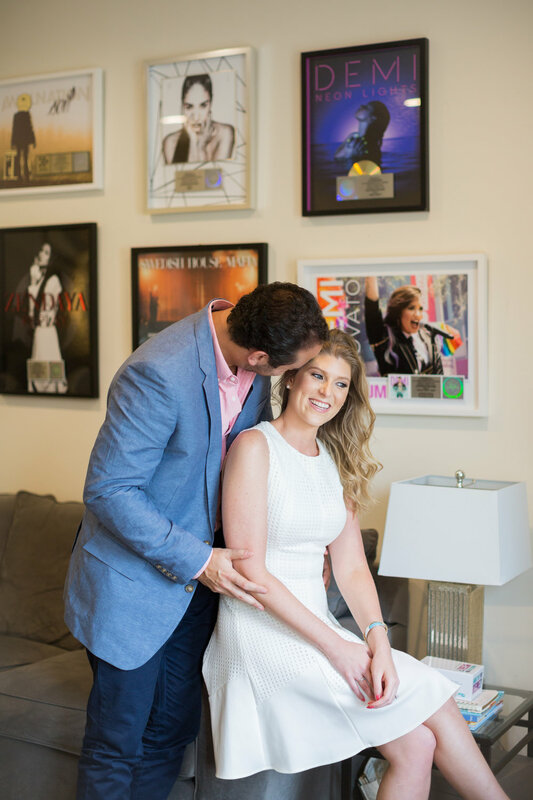 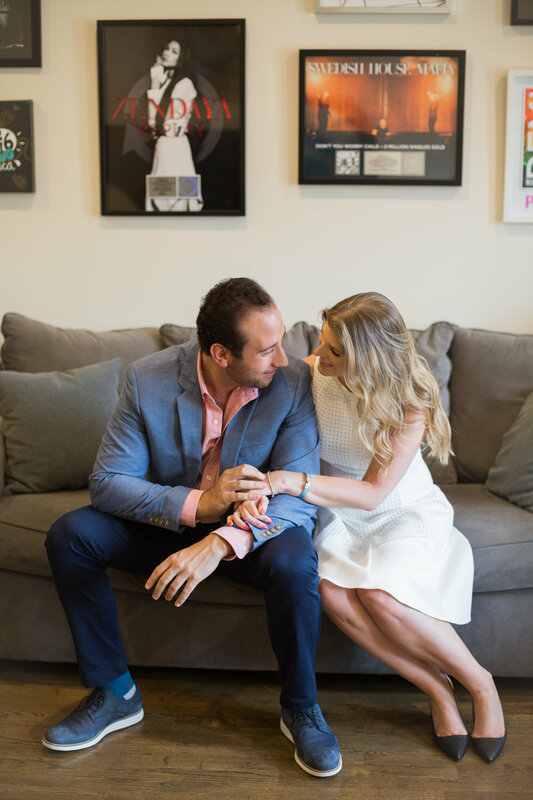 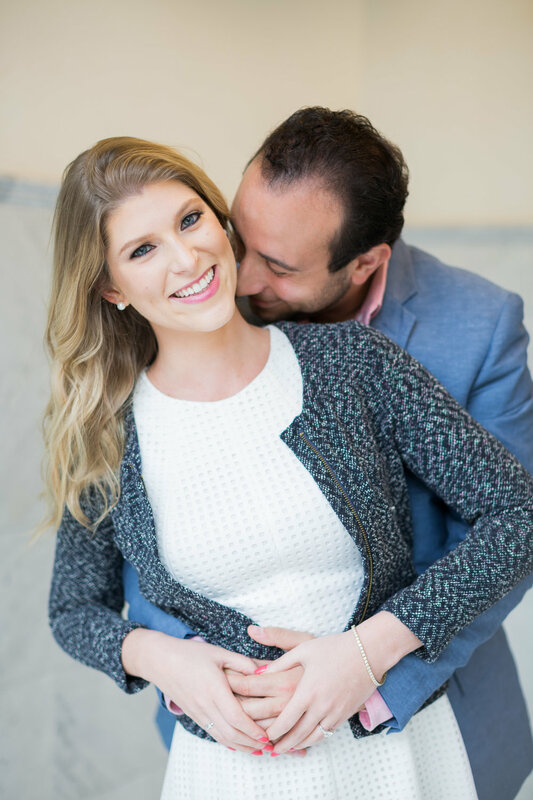 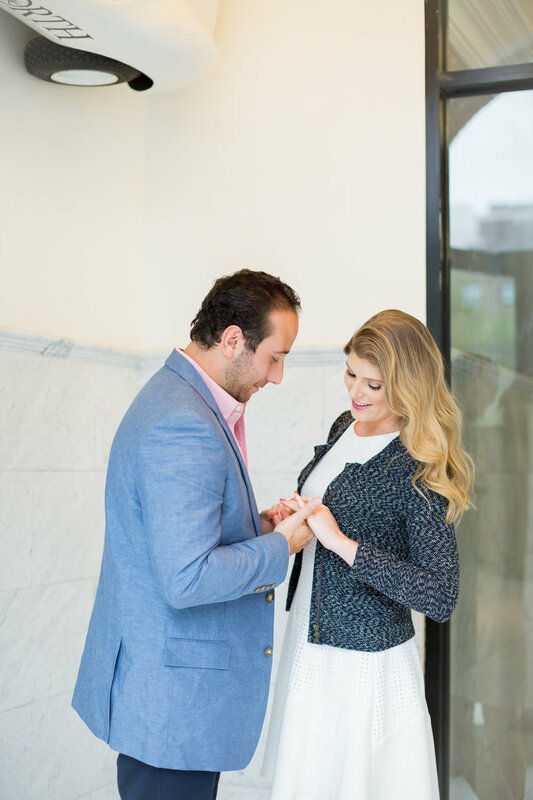 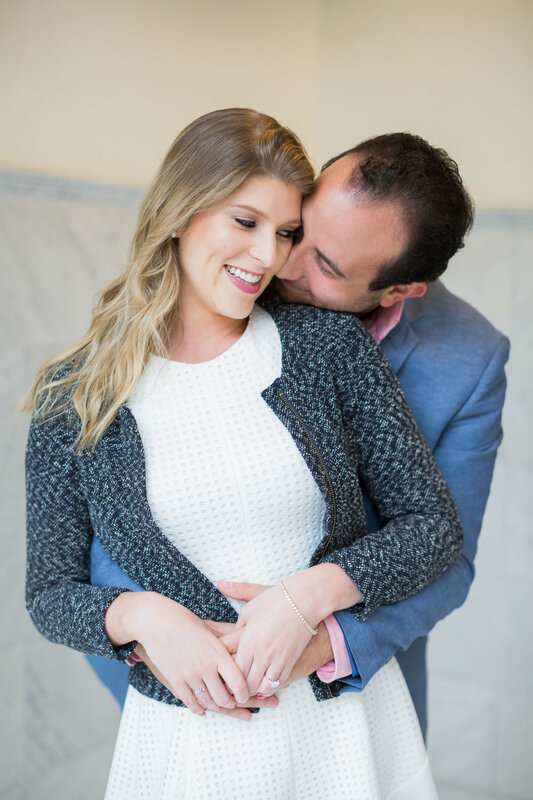 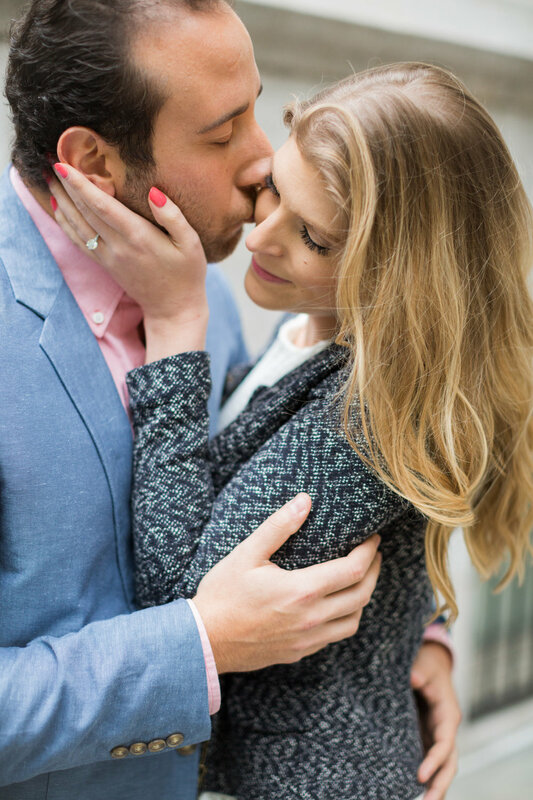 After hitting it off right away at the first of the festivities, they quickly became inseparable and began building a home together in Gramercy soon there after... the very home where JP bent down on one knee just this past January. 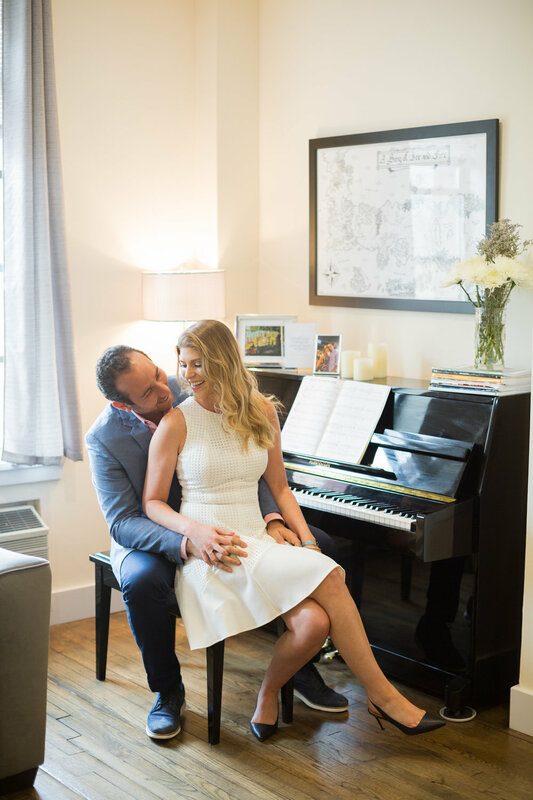 So to capture their love, we began in a place that holds special significance to them: their NYC apartment. 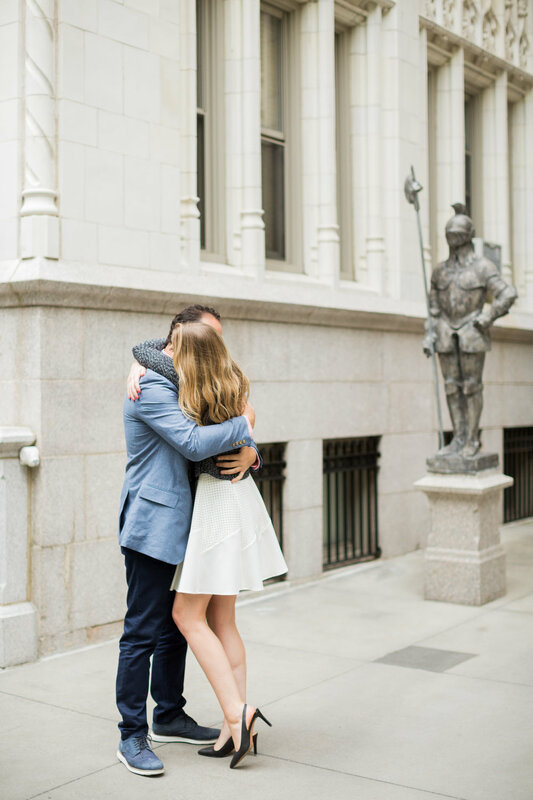 It's where JP proposed and it's where they started their life together. 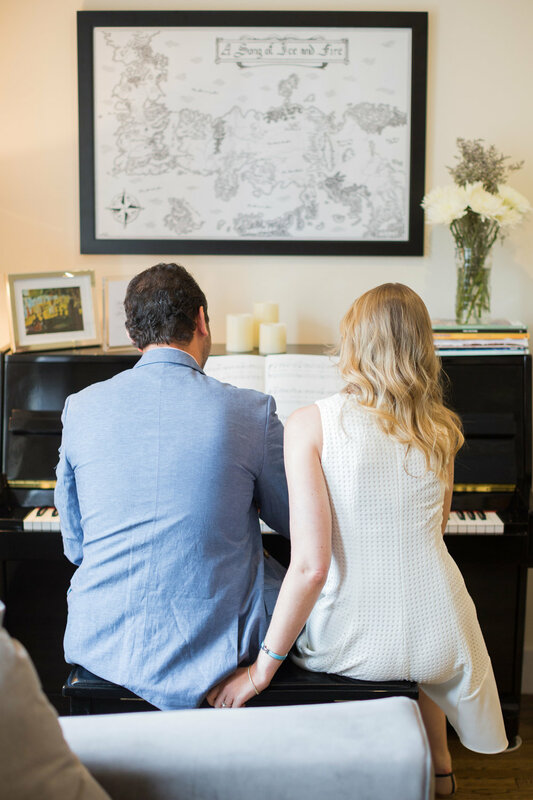 Framed homages to JP's deep involvement with music and a piano Courtney gifted him immediately draw you in to the center of their life, the perfect place for hosting family and friends. From there we set out to capture the beauty and energy of their urban neighborhood in spring. 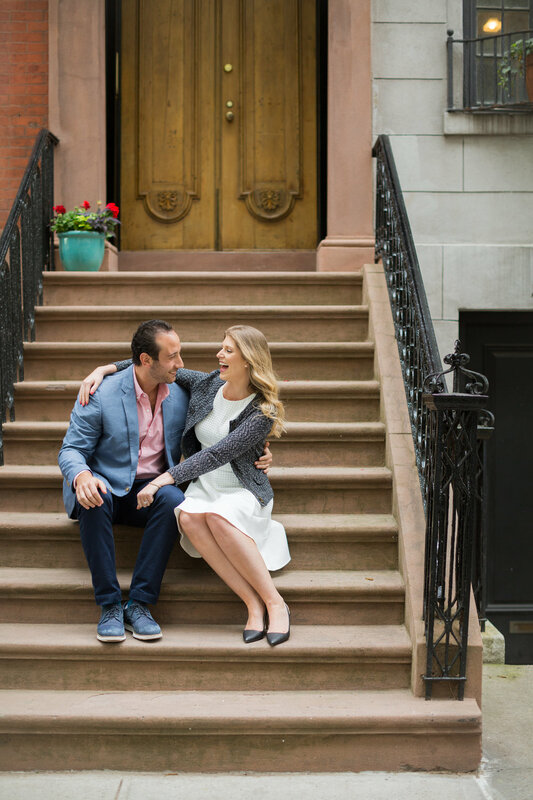 Brownstone and tree lined streets guided the way to indelibly charming Gramercy Park where their playful affection was in full bloom and there was no denying he's got her under his skin.